All from the comfort of your own home! 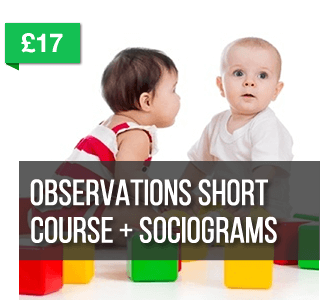 A review of different observation types and when to best use them, plus a detailed guide to using the Sociogram technique for analysing children’s social interactions and development. The different types of observations to use in different circumstances. The Sociogram technique for analysing children’s social groups and interactions. Different ways of implementing Sociograms in your setting. 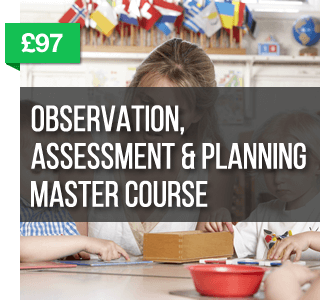 How to implement an effective Observation, Assessment and Planning Cycle which will save you time and help you to better support your children. Making observations meaningful and actionable. How to create practical Next Steps from your observations. Methods for effectively and efficiently recording plans. Linking the stages of the Observation, Assessment and Planning cycle. How to mentor, coach and support colleagues. Click here for more details of the course. Recognise and enhance Schematic Play, so you can provide the best resources and activities to better support and challenge children's learning and development. Detailed guides on how to recognise the different types of schematic play and how to use this to support your children's learning and development. Tips and strategies on how to improve your planning using your knowledge of schematic play. Ideas to pass on to parents to help them support schematic play at home. Details on how to mentor and support your colleagues to better support schematic play themselves. Teach parents about their children's schematic play and how to support it at home. 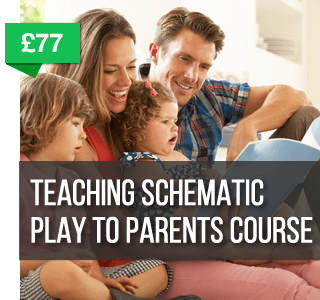 Training videos to watch with your parents to teach them about their children's schema. Guidelines for parents on how to support their children's schematic play at home. A booklet and set of guidelines on schema you can hand out to your parents for them to take home. Tips on how to run sessions to train parents. 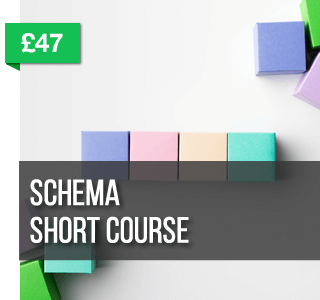 Lifetime access to all the training - including access to the Schema Course For Practitioners. 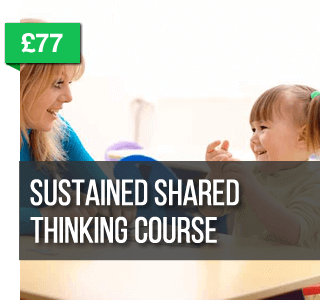 Encourage and Utilise Sustained Shared Thinking To Better Support And Challenge Children's Learning And Development. 10 simple techniques to implement Sustained Shared Thinking. How to create the right Environment to support Sustained Shared Thinking. Step-by-step guide to Active Listening techniques. 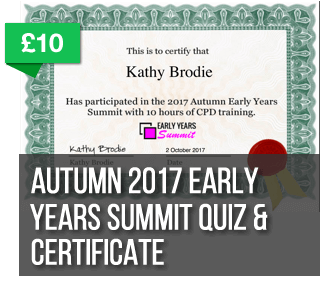 If you attended the Autumn 2017 Early Years Summit or bought the recordings you can get your certificate for 10 hours of CPD by answering the quiz with questions on each of the sessions. You'll need to score 80% or above to get your certificate. Use your knowledge from participating in the summit (or watching the recordings). Answer the quiz and score 80% or more to qualify for your certificate. Certificate covers 10 hours of CPD on Physical Development. 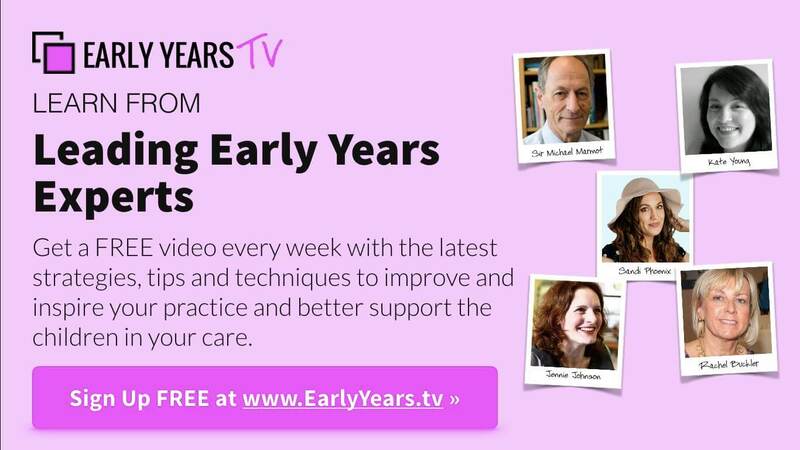 If you attended the Spring 2018 Early Years Summit or bought the recording you can get your certificate for 9.5 hours of CPD by answering the quiz with questions on each of the sessions. You'll need to score 80% or above to get your certificate. Certificate covers 9.5 hours of CPD on Outdoor Play and Learning. 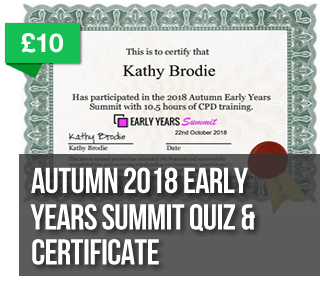 If you attended the Autumn 2018 Early Years Summit or bought the recordings you can get your certificate for 10.5 hours of CPD by answering the quiz with questions on each of the sessions. You'll need to score 80% or above to get your certificate. Certificate covers 10.5 hours of CPDt. Send us a message via email and we'll get back to you as soon as we can.